On New Year's Eve, families take to the Grand Ave. walking bridge in downtown Eau Claire carrying homemade paper lanterns. With temperatures dropping and Jack Frost peeking around the corner, it’s time to start the transition from fall festivities to winter holiday hoopla. The Children’s Museum of Eau Claire is hosting a Whoville-esque shindig as a “hello” to the new year. 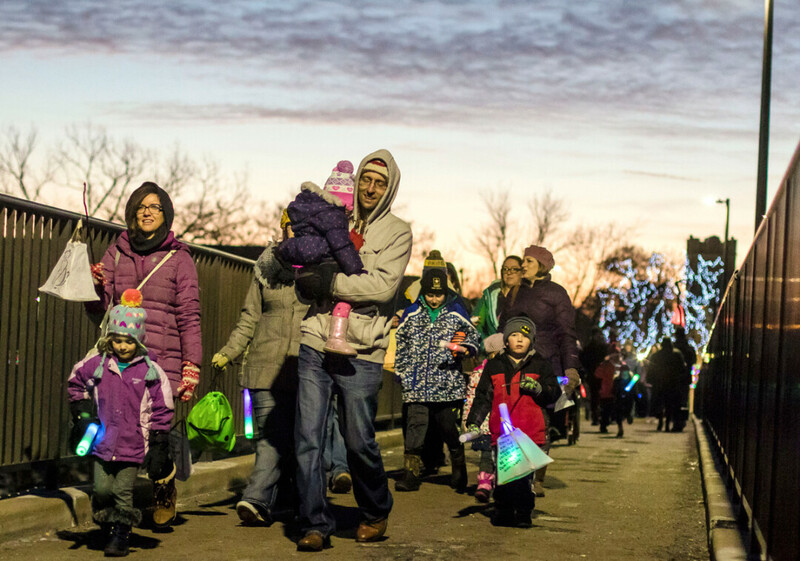 The second annual Light Up Eau Claire Little Lantern Parade will be on Sunday, Dec. 31, at 4:30pm. Attendees toting small, lighted lanterns will parade from the museum down Grand Avenue and across the footbridge before circling back. Children 12 and under and their families are invited to take part in this free, homey winter walk. And for those without a scheduled bedtime, the nearly Lismore hotel is hosting a second lantern parade lighting up downtown Eau Claire beginning at 11:30pm. Lanterns may be purchased for $5 or you can make one yourself. How can you create your own lantern? Paper lantern workshops are scheduled throughout November and December, primarily hosted at the Eau Claire Regional Arts Center in the evenings. Visit eauclairearts.com and search for the keyword “lantern” for a list of specific dates and times. These workshops are open to people of all ages who want to participate, create, and enjoy the art of lantern-making for only $15 (children 5 and younger are free). Perhaps in years to come, we’ll see 20-foot lanterns strutting down our streets, just as they do in our Australian sister city. 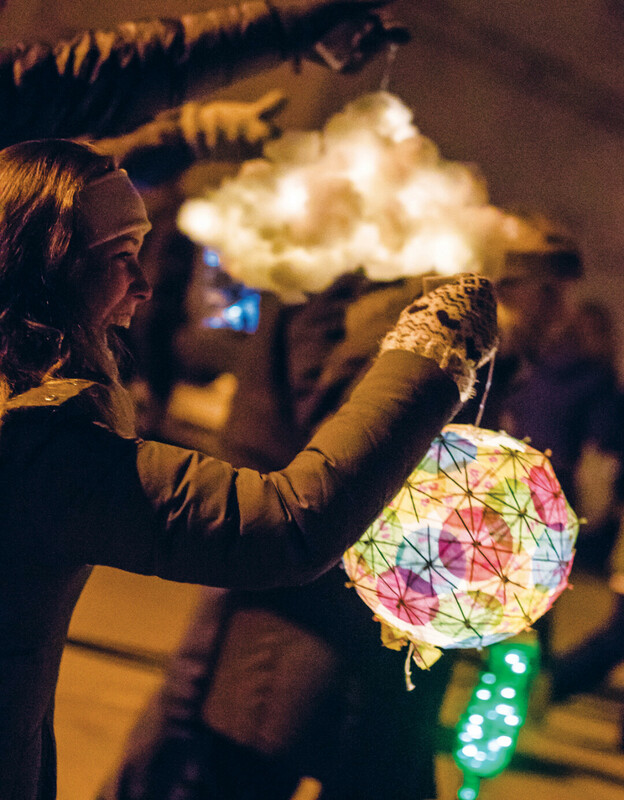 But even if Eau Claire’s lanterns are more modestly sized, the parade will allow Chippewa Valley residents to come together with smiles, laughter, and play as the warm glow of the lanterns kindles the holiday spirit within.